Nissan’s Saudi Arabian business partner said his company helped the automaker resolve a dealership dispute and pave the way for a joint venture in justifying $14.7 million in payments now under scrutiny by Tokyo prosecutors in the investigation of ousted Chairman Carlos Ghosn. A company controlled by Khaled Juffali, the scion of a powerful business family and chairman of one of the kingdom’s biggest conglomerates, E.A. Juffali & Brothers, defended Ghosn in its first public statement since Tokyo prosecutors re-arrested the embattled executive Dec. 21 on suspicion of improperly shifting personal investment losses to the Japanese automaker. “The $14.7 million in payments over four years from Nissan Motor Co. were for legitimate business purposes in order to support and promote Nissan’s business strategy in the Kingdom of Saudi Arabia, and included reimbursement for business expenses,” according to a statement issued on behalf of Khaled Juffali Co. by its New York-based public relations representative Terry Rooney, founder and CEO of RooneyPartners. In a legal drama that has transfixed the global auto industry, Ghosn has been detained in a Japanese jail since his initial arrest on Nov. 19. In mid-December, he and former representative director Greg Kelly were charged with under-reporting income on Nissan’s financial statements. Kelly has been released on bail. On Dec. 21, Tokyo prosecutors raised the stakes by re-arresting Ghosn on suspicion of “aggravated breach of trust” by allegedly transferring obligations on his personal investment losses to Nissan, thereby inflicting financial damage to the automaker. At issue is a derivatives transaction that a company linked to Ghosn made with Japan’s Shinsei Bank. It unraveled when the yen soared during the 2008 financial crisis, saddling Ghosn with $16.7 million in unrealized losses, and prompted Shinsei to demand more collateral. Prosecutors allege that Ghosn first transferred his position to Nissan and later shifted the investment back onto the books of his affiliated company, with Juffali providing a letter of credit to satisfy the bank. In the latest arrest warrant, prosecutors accused Ghosn of violating Japan’s Companies Act by allegedly causing financial harm to Nissan. If convicted, the executive credited with reviving Nissan in the early 2000s could face a substantial prison sentence. One issue is whether Juffali delivered anything of value in return for four payments he received totaling $14.7 million. In its statement, Juffali’s company said it played a key role in settling a dealership dispute with a local partner that had depressed Nissan’s Middle East sales and winning government approval for a joint venture called Nissan Saudi Arabia. Founded in 1946, E. A. Juffali & Brothers has evolved into one the kingdom’s most prosperous businesses by teaming up with international partners including IBM, Massey Ferguson, Siemens, Bosch and Michelin, according to its website. Ghosn and Juffali have known each other for decades. The statement on behalf of Juffali’s company dovetails with the account of Ghosn’s attorney in Tokyo, who has told Bloomberg that the payments were “remuneration for the Saudi business partner to help Nissan’s business in Saudi Arabia” and requested by Nissan’s Middle East division, not Ghosn, though he approved it. 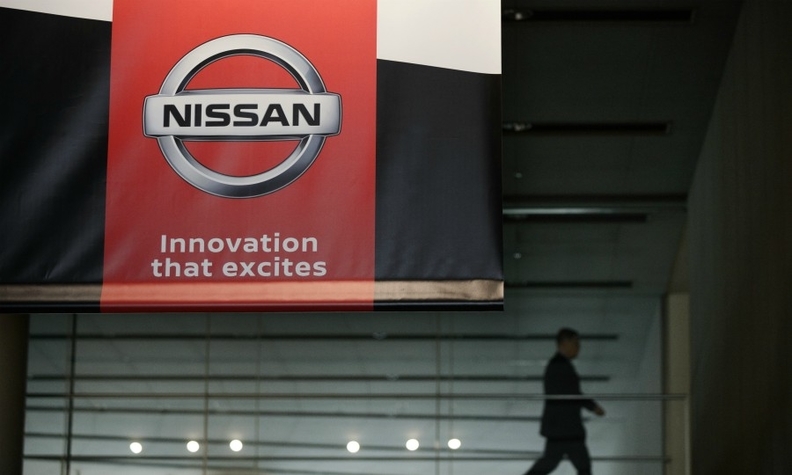 Many of the Nissan officers in the Middle East division were aware that this business partner worked on behalf of Nissan, Ghosn’s lawyer said, adding that the local representative remains deeply involved in the business activities of Nissan in Saudi Arabia. In a press conference Tuesday afternoon, Ghosn’s chief lawyer, Motonari Otsuru, spent considerable time seeking to debunk the Tokyo prosecutor’s suspicions that the former Nissan chairman tried to transfer an investment loss to the automaker and the legitimacy of a series of payments to Juffali. Aside from his legal troubles over the derivatives contract and compensation reporting, Ghosn has been accused by Nissan of misusing company funds, including for homes from Brazil to Lebanon. A Nissan spokesman said the company’s separate investigation is ongoing and the scope continues to broaden.